Earlier this year we teamed up with Apricot Productions from Lenwade, Norwich to record the final stages of an incredibly complex construction project. When Kier won the contract to build the new cultural centre for the end of the pier at Southend-on-Sea they realised that it would be too problematic to construct the building in situ. As a result a plan was devised to construct the building on the quayside at Tilbury Port. 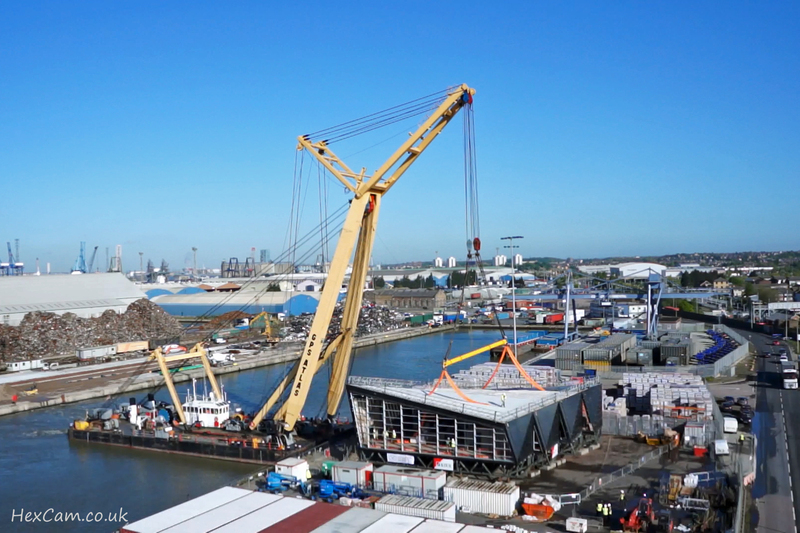 The 170 tonne building was then lifted onto a barge and carried down the Thames before being lifted onto the pier with a marine crane. On the two days of the “big lift” the weather conditions were almost perfect with the wind blowing about 10 knots on both days. This was our first major project with the octocopter and we also gave the hexacopter a run out as well although it struggled a bit in the wind and GoPro footage does not stabilise well in post-production due to the fisheye effect. Having gained permission to fly at various sites by the authorities at Tilbury Port and Essex County Council we flew at several sites in Tilbury Port and on the end of Southend Pier. Day 1 was the initial lift onto the barge and, as the timetable was to be driven by tides and weather we had a very early start. 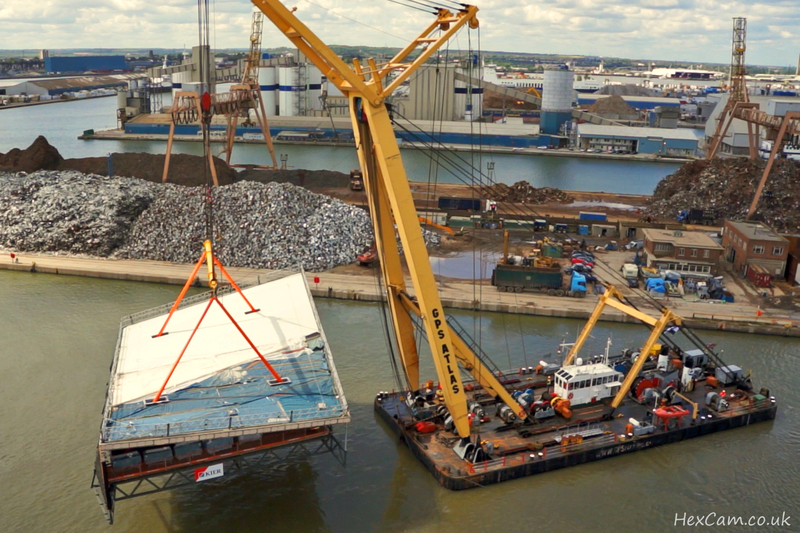 We carried out three flights with the octocopter, filming various stages of the initial lift and drop onto the barge as well as the transition through Tilbury Lock and onto the Thames. 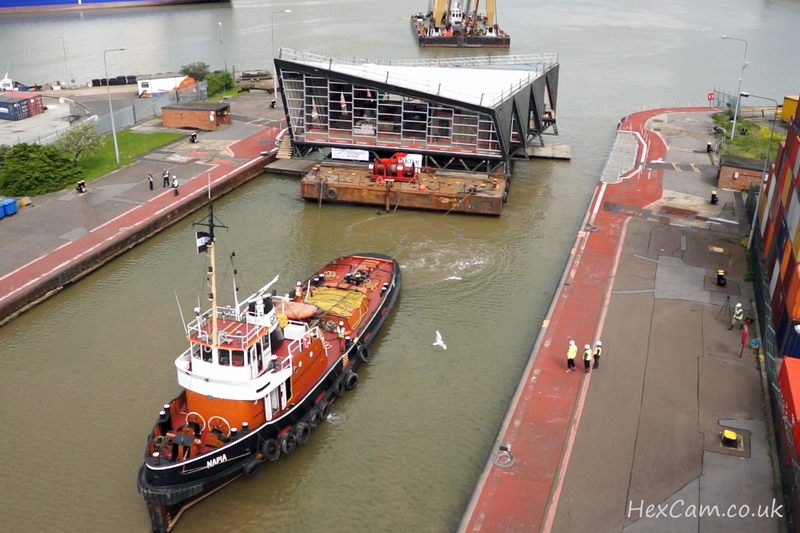 Due to the calm conditions, the barge was anchored overnight a short distance from the pierhead. Day 2 saw another early start and a trip for the octocopter on the train down the pier which is over a mile long. 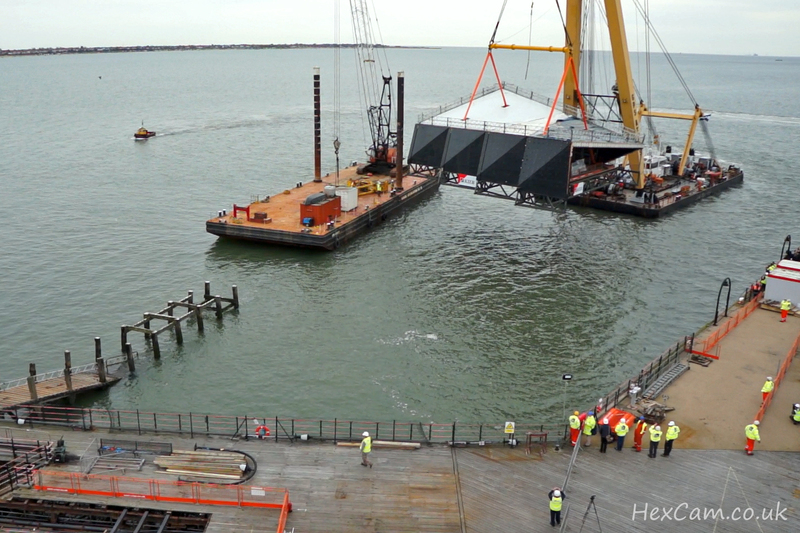 During the day we filmed various stages of the lift and final drop onto the pier as well as a final shot of the building in situ. Since we shot the video, the exterior cladding has been added as well as the windows and the interior of the building is now being completed. It was an amazing project to be involved with and taught us a lot about the capabilities of our two aircraft and video gear as well as improving my piloting skills and seeing how our footage can be integrated with traditional footage to great effect. 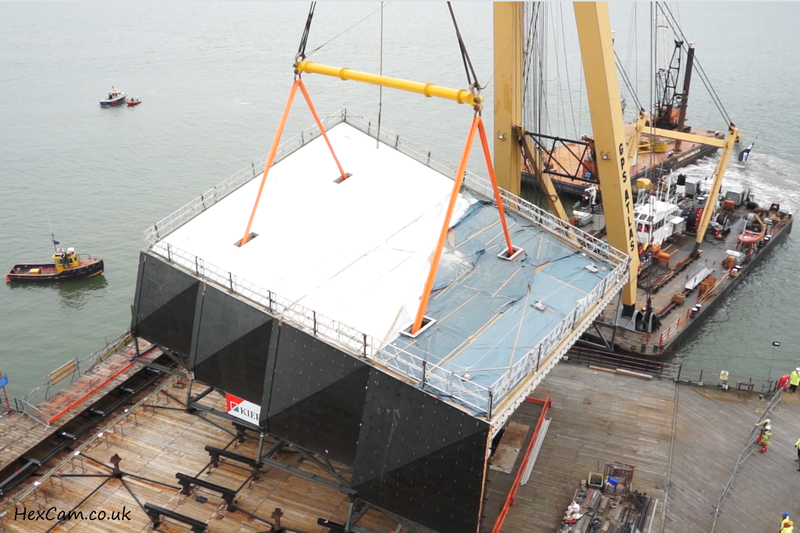 Southend Cultural Centre – The Big Lift from Apricot Productions on Vimeo.